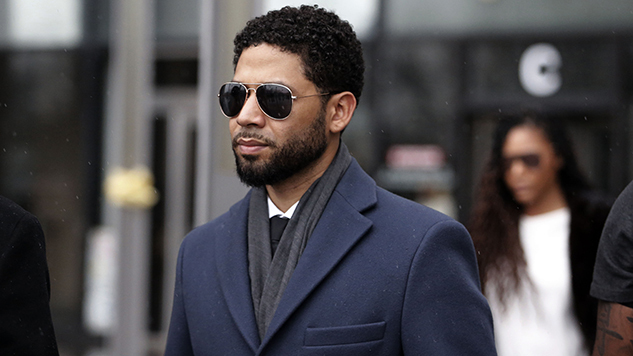 Actor Jussie Smollett, who was accused of staging a fake hate crime against himself, has had his criminal charges regarding disorderly conduct dropped and expunged from his record. The actor appeared in an emergency court hearing in Chicago where the case was ultimately dismissed, per the Chicago Tribune. The black, openly gay actor’s alleged attackers, brothers Ola and Abel Osundairo, were previously arrested, then released without charges after claiming that Smollett paid them $3,500 to carry out the hate crime. Smollett claimed the brothers approached him yelling racial and homophobic slurs when they began to beat him, placed a noose around his neck and poured liquid chemicals on him. Following Smollett’s arrest in February for disorderly conduct, 20th Century Fox removed the actor’s appearances in Empire for the last two episodes of its newest season.